The quest for AI began over 60 years ago with the idea that machines would one day have an ability to solve problems that we humans do with our natural Intelligence. Artificial Intelligence Trends are all around us and is taking a bold move in evolving and transforming to new horizons. It’s incredible to see how Artificial Intelligence is affecting our lives in new ways and influencing everyday devices in becoming smarter. Jack Copeland, author of “Artificial Intelligence: A Philosophical Introduction” says Artificial Intelligence is usually the science of making computers do things that require intelligence when done by humans. Computer AI with a human touch has gone from a world where it’s used to power various technologies and search engine optimization industries like Google and Siri. The spread of AI will certainly drive the next industrial revolution, it will become more important for marketers too in content creation, content distribution, conversations, and analytics. Perhaps, the entry of AI into business and the personal world have been revolutionary in planning, combining evidence, and with making decisions & employee productivity. As per Narrative Science, 80% of executives believe artificial intelligence improves worker performance and creates jobs. AI is no longer a science fiction, it’s seamlessly blending of improving productivity and efficiencies. 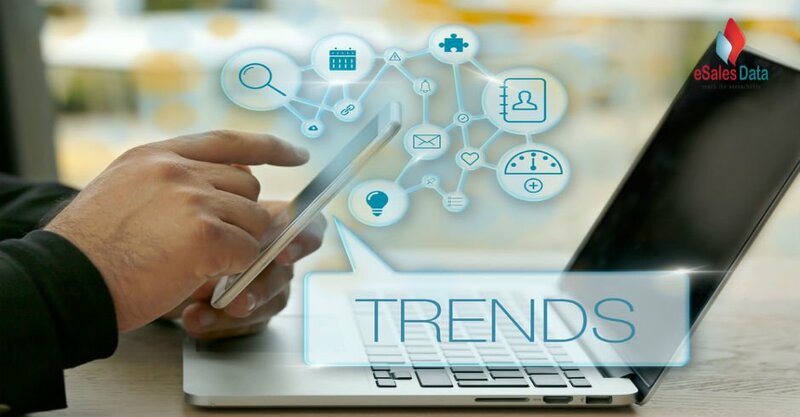 Here we have a list of 6 Popular Trends that would Influence Tech Industry in 2018. 1. Computer Vision and machine learning: The approach of multi-model computing is not just with mobiles or desktop. Multi-model leads to User interaction which is evolving and significantly growing leading to the integration of Voice, touch, and vision. The evolution and rise of intelligent machines over the past few years have been immense. Computer Vision and machine learning have led to a wide variety of programs and to name a few are image recognition, object detection & tracking, face detection & recognition, automatic document analysis, computational photography, 3D reconstruction, augmented reality, medical image processing and more. 2. AI drives the future of Automation Industry: Have you ever wondered sitting is a car which can self-drive, self-park and eventually self-heal? It’s neither a dream nor a scene from any of the robotic movies. This is the future of personal transportation which will have built-in artificial intelligence. The machine with wheels will be able to communicate with occupants via voice command, or a gesture, so driving long may no longer be boring. From airplanes to cars, vehicles are turning into computers on wheels. As per the survey by Strategyand, 67% of the consumers predicted that there would be more driverless cars on the road than normal cars and 30% believe that the self-driven cars will have the ability to enhance road safety which in turn will be the key factor to enhance the road safety. Telematics is making vehicles safer while AI is making them connected and intelligent. The world is getting smarter, and machines are made to mimic humans. The force of Artificial Intelligence is massive, and the scope has spilled over to reverberate through related industries including transportation, logistics, aerospace, insurance and even manufacturing. 3. Engaging Content Creation and content marketing with AI: Smart content is what a customer needs, and AI makes it possible by using its smart intelligence. Billions of AI created content pieces are published every year which are created by Content Creation Robots. Machines may not mark the challenge of crafting high-quality content but with tools like predictive analytics and generation analytics, AI will be taking the large chunk of the creation process and in some cases may as well generate content. The Outcome and benefits of AI in content creation may be great, as it gets better it will help streamline large quantity of data and reduce costs. As we have robots that build cars, we have automation tools that automate basic repeatable tasks which work faster and smarter. Companies like HubSpot and Marketo have made automation tools widely available. These tools do great in various aspects, beyond sending and drafting timely emails, they as well schedule social media posts in advance across multiple channels. 4. AI empowers Big Data: AI combined with Big Data is growing at an enormous speed every moment. The set of these technologies empower machines and computers to learn, evolve and improve consistently upon updating data through experiments and human intervention. In practical terms, AI in interconnected machines grants access to databases making them learn new things on their own in a programmed manner. Using big data analytics, machines today are becoming more meaningful and relevant in having a better idea of their functions. The key aspect is that both AI and Big Data need each other to learn Algorithms, to structure unstructured data from the web, to train algorithms, they help utilize data in a smarter way, in stock market prediction and many more. 6. AI will redesign healthcare: According to CB Insights, about 88% of the healthcare organizations, technology vendors, life science companies are using artificial technology. AI in healthcare industry helps to manage medical records, does repetitive jobs regarding doing tests, X-Rays, CT scans, Designs treatment by analyzing patients file, medication management, Health Monitoring and more. AI and Robotics are making advances in the healthcare industry from genetic testing, robotic surgery to cancer research & data collections and much more. Artificial Intelligence is leading to a technological singularity, humans and machines are blending into one digital and biological entity leading to a completely new life. Computer futurist’s forecast that by 2029, AI could be at the same level of intelligence as of humans. Today tech companies are exploring the opportunities that AI offers by adopting and implementing AI in their marketing plans. Business decision makers already see AI as a modern marketing engine, which addresses something that humans can’t do by sensing a million pieces of data in a second and so on. Apart from AI being tech-friendly, it also is a boon for marketers as it drives revenue growth, AI targets segments more accurately, does real-time actions on AI derived insights, building brand loyalty and more.